The Pinehurst/Sandhills area of North Carolina bills itself as the “Home of American Golf” and it is a wonderful place for the diehard golf enthusiast. 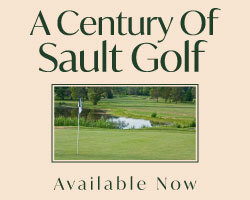 There is no shortage of really solid golf courses in the area and deciding which courses to play during a short visit can be a tricky undertaking. 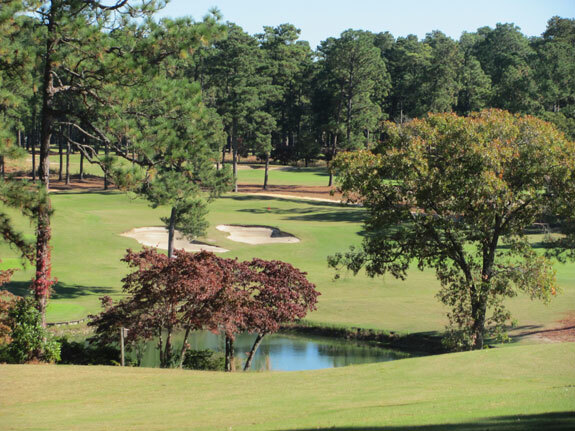 However, one of the courses that merits strong consideration on your next pilgrimage to Pinehurst is the Hyland Golf Club in Southern Pines. This easily walked Tom Jackson layout offers four sets of tees ranging from 4784 to 6823 yards and the design is set up to appeal to players of all skill levels. 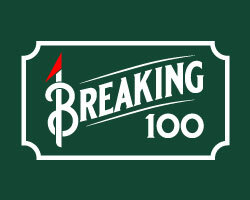 The seasoned long hitting low handicapper will find that solid shot making is required for a low score is to be achieved while those with a novice or intermediate game will find this gimmick free course very playable and will be afforded an opportunity to succeed. The general terrain can be characterize as flat to gently rolling for most of the layout. However, holes four through seven plus numbers twelve and thirteen are routed up, down and over a valley the resides in the centre of the property. The valley features two large ponds and some rather dramatic elevation changes that are integrated nicely into the hole designs. 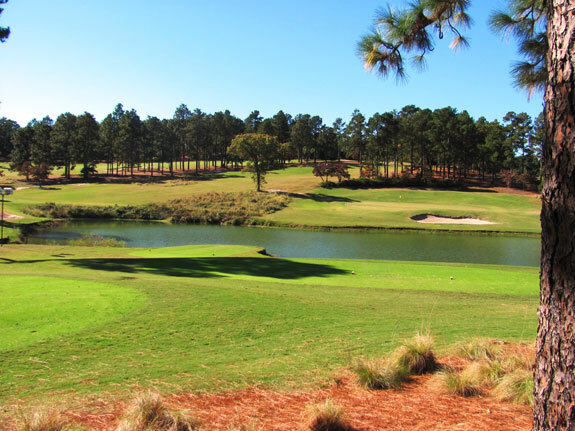 Throughout the course the fairways offer fairly generous landing areas and are lined with the long leaf pines that are standard fair for Pinehurst. The true defenders of par at Hyland are the strategically bunkered fast paced green complexes. The greens were the first in the area converted to Champion Bermuda and offer wonderfully true putting surfaces. Although, should you find yourself on the wrong side of the hole on these large sloping carpets your green reading and distance control skills will be put to the test all day long. With the myriad of courses from which to choose in the highly competitive Pinehurst market Hyland has positioned itself as a reasonably priced alternative to some of the bigger named high priced venues. Offering good bang for your buck for a quality shot making experience (the greens alone are worth the price of admission) adding Hyland to your next Pinehurst boondoggle is a good choice. Southern Pines, NC. On Route 1 less than five minutes from downtown Southern Pines. Hole number five, one of the valley challenges at Hyland, is a solid risk reward par four. This sharp dogleg left wraps around a pond then rises to a green complex that is protected by deep fronting bunkers. The bold player will take advantage of the extremely elevated tee box taking dead aim at the pin and give it a rip across the pond leaving a short pitch to the green. The prudent player will knock their drive down to the corner of the dogleg at the widest point in the fairway setting up a short iron approach shot to the green. The sixth hole is a pretty but nasty par three with danger all around. The approach must carry the pond and deep fronting bunker to find the putting surface. The two tiered green slopes so severely back to front that par is next to impossible from behind the green. The key to success is to play to the front of the green, take care to two putt for par, then tip toe to the 7th tee unscathed. It may be the shortest hole on the course but birdies are a rare sighting here. The back nine opener is another world class par 3. Tightly tree lined on both sides a precisely aimed tee shot must split the trees to find the narrow entrance to the “t” shaped putting surface. Protected by bunkers all around and a sentinel tree standing guard behind the green little margin for error is permitted. As with #6 a par here will not disappoint. The par 5 17th hole is a perfect example of a hole where both a brawny or brainy approach can find success. For the big hitters a mighty wallop down the right side is required off the tee for an attempt to be made to reach the putting surface in two. A left side drive may be blocked out by a massive long leaf which towers over the left side some 140 yards shy of the green. The narrow fairway is straight and rises gently from the tee to around the 150 marker then rises sharply 30 to 40 ft in elevation to a plateau some 80 to 100 yards out from the green. If going at the green in two is not an option then a left side bunker half way up the rise and a right side bunker set amongst long grasses at the top of the rise must be negotiated in order to find the premium approach position from the plateau.